Sure to strike a chord with many men out there! 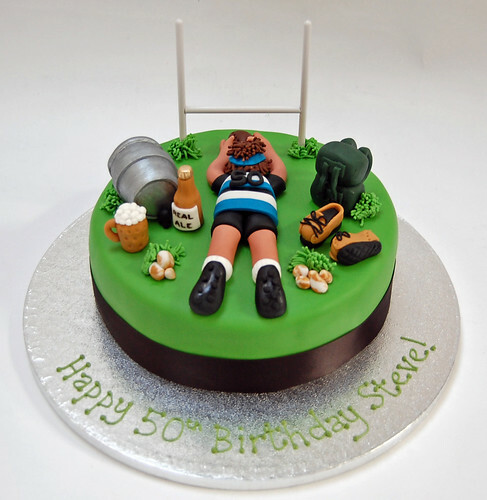 The Rugby, Real Ale and Walking Cake – from £75. Just wanted to say a very big thank you for the fabulous cake you made for my husband’s 50th birthday. He was over the moon with it. Everyone who saw it was amazed and I have passed your details on to several enquirers.